Today is a difficult day for our MKCC Family. 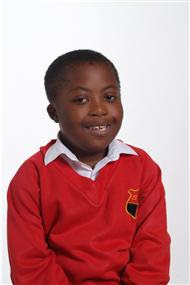 Today we celebrated the life of Michael Ogunji who went to be with Jesus at the age of 9. Our thoughts and prayers are with Mum & Dad and Sister at this difficult time. In his few short years Michael impacted so many people and why Jesus would take him we don't understand. We will all miss Michael but now he is with the one he lived for.